Please be sure to contact the club to confirm your seat after making payment. Class registration is on a First Come First Serve basis. Seating is very limited. In an effort to preserve Morse Code on-the-air, and enhance the skills of the Amateur Radio Operator, the SFM ARC offers an instructional course in the art of sending and receiving Morse Code. We also offer this course to the general public, and those who would like the benefits of cognitive memory skills. You do not need to be a licensed Amateur Radio Operator to take this course. The W6SFM CW course consists of 10 classes held once per week, Wednesday evenings from 7 – 9 PM. In this class students will learn the International Morse Code, the art of sending on a straight key, radio Pro-Signs, and the proper edicate of an on-air CW QSO, plus MUCH MUCH more. 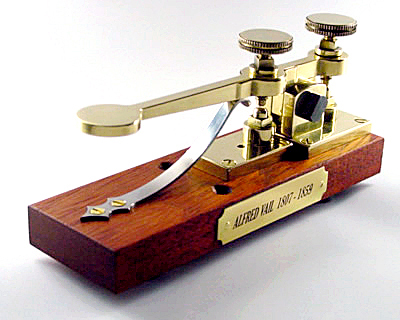 Both Theory and Practical use of HF radio and Morse Code are discussed in this class. Students are provided with a professionally built Morse Key and Oscillator to be used both in-class and at home. This Key and Oscillator are worth more than the price of the course by itself, and the students to keep at the completion of the course. In addition to the in-person class instruction, an On-line practice video and weekly email are also provided. Returning Students who sign up at our discount rate must bring their equipment with them from their previous class. All Students are encouraged to bring any Straight keys that they currently own in an effort to practice good sending methods on them. Please note that Our CW Beginners classes tend to fill up quickly and seating is limited. Early enrollment is encouraged to be guarantied a seat in the class. We hope to see those interested in learning the Morse Code, or brushing up their skills at our next class! Purchases can be made using PayPal, Credit and Debit cards. Please use the contact us link at the top of this page with any questions that you may have.